The Yankelovich Center supports research on local and regional problems only to the degree that they express issues of national concern. Much problem-solving research operates on the tactical level. For example, K-12 education research often focuses on isolated tactical issues such as class size, teacher training, the role of the school principal, teaching methods, testing, or a common core curriculum. The Yankelovich Center specializes in strategy — for example, how to gauge the relative importance of various tactics in improving overall student performance. No one social science discipline, be it economics, sociology, political science, or psychology, can solve any important national problem by itself. Interdisciplinary cooperation is needed. The Yankelovich Center rejects the familiar distinction between basic and applied research in the social sciences because it implies that knowledge flows in only one direction, from theory to practice. Our premise is that it flows in both directions. Practice can inform theory. Many of the nation's policy think tanks have a strong partisan leaning. But a Center dedicated to evidence-based solutions loses credibility if partisan bias sneaks into its practices and recommendations. The Yankelovich Center's purpose is to add a new resource for gaining social science knowledge. It is not intended to divert the division's emphasis away from theoretical knowledge. The scientific search for theoretical knowledge often neglects the urgency of time. The Yankelovich Center is dedicated to finding timely solutions to the problems it addresses. The conventional wisdom dictates that better understanding is the primary road to problem-solving. Sometimes this is a valid assumption, but sometimes it is not. Research methods for finding effective interventions can differ from those designed to enhance understanding. John D. Skrentny studies the causes and impacts of policies relating to opportunity and jobs, as well as the relationships between technological innovation, jobs, education, and regional competitiveness. He is the author of After Civil Rights: Racial Realism in the New American Workplace (2014), The Minority Rights Revolution (2002), and The Ironies of Affirmative Action (1996), as well as editor of Color Lines (2001) and two special issues of American Behavioral Scientist (2012; 1998). He is a former Guggenheim Fellow and his work has appeared in both scholarly and popular media. The Yankelovich Center's executive committee includes distinguished professors, campus partners, and community members. It oversees Center activities and evaluates seed funding proposals. Daniel Yankelovich, a renowned social researcher and public opinion analyst, was the key figure in the establishment of the Yankelovich Center for Social Science Research. He founded and led The New York Times/Yankelovich Poll, now called The New York Times/CBS News poll; Public Agenda, a public policy research organization; and DYG Inc., a research firm that tracks social trends. He was named by PR Week as one of the 10 most influential people of the past century in the arena of public affairs, communications, and public relations. Yankelovich is the author of dozens of books, including Wicked Problems, Workable Solutions: Lessons From a Public Life (2015). He has also taught psychology and social opinion at New York University and The New School for Social Research. The Yankelovich Center for Social Science Research was created in 2012. It was made possible through a generous gift and continued financial support from Daniel Yankelovich. Since 2016 it has received additional financial support from UC San Diego. David Lake, professor of political science, was the Center's director from 2012 to 2015. 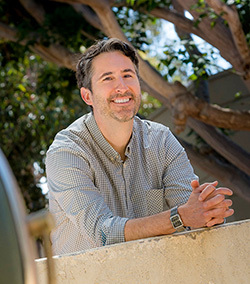 Lane Kenworthy was the director from 2015 to 2016. The current director is John Skrentny. To give to the Yankelovich Center, click on the "Give now" button below or contact Doug Kurtz, Senior Director of Development, tel 858.822.0805, email dpkurtz@ucsd.edu. To sign up to receive periodic email notifications on the Yankelovich Center events and programs, please click on the following link.